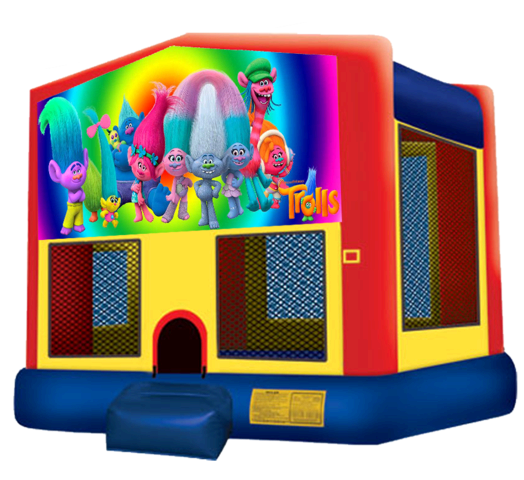 Join Princess Poppy, Branch and the entire Trolls gang for your next birthday party or special event! Nobody has to eat a Troll to be happy with this Trolls moonwalk! Featuring a full size bouncing area, safety step, knotless netted windows and the most current safety updates, the kiddos will have a great time while parents have peace of mind.